Need Legal Services / Lawyer? We represent our clients across the areas of law, such as criminal, commercial, employment, family, insurance claim, medical malpractice litigations, arbitration, and alternative dispute resolution. Whether you would like to settle something with your real estate issues or you simply need immigration advocates in Dubai, we are here to provide the right services. Moreover, we are one of the regulated law firms in all of the Emirates in the UAE, giving us an edge among other law firms. Having local attorneys and local Dubai advocate, we can ensure that language will not be much of a barrier. For our attention to be always focused on achieving the best possible results for our clients, we make sure that the legal attorney that faces you does indeed have legal experience in their hands to advise and guide you. We have first-class procedures, communications, and response system developed and made especially for our clients to ensure that everybody receives a high-level advice and effective solutions whenever they need. HHS Lawyers has a team that is composed of lawyers who are well-versed with the rules and regulations of the region. Our comprehensive legal solutions stretch to different scopes, making sure that the clients’ needs, although different, will be met. We have lawyers in Abu Dhabi and all other Emirates who are educated in the laws and they can represent clients with confidence in the knowledge they hold. As we take pride in having the best lawyer in Dubai, we commit to assisting our clients regardless of how complicated the case might be. 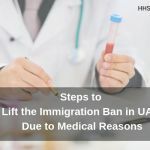 Even if you are not educated with the UAE law, a legal aid attorney from HHS Lawyers would definitely be more than willing to step forward and help you grasp the idea of your situation and the corresponding provisions that it falls into. With the Legal consultancy in Dubai and every part of UAE that HHS offers, you can be more confident in obtaining what you need or facing the case at hand. Why Do You Need Dubai Lawyers? Law seems to be a broad term that constitutes a lot of meaning. In simple terms, however, it is a set of rules that are stipulated by a country for its citizens to follow. It is made for order to continue in a state. However, even with laws surrounding our country, there are disagreements and crimes that happen from one corner to another. Dealing with these affairs can be stressful and time-consuming that is why corporate lawyers in Dubai exist. It is most commonly known as “lawyer”. Lawyers are people who are licensed to deal and handle legal matters. These people are specialized in one or more fields. They are knowledgeable in terms of applying the legal theories that are used to solve problems of clients in a practical way. These people do not easily become lawyers. Usually, seven years of study are given before being able to practice law. 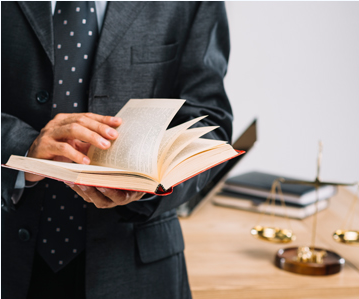 Even after then, an individual cannot be called a lawyer just yet because a license is needed or one must be a passer of a bar exam in the concerned jurisdiction. Lawyers can either represent or advise people with their cases or situations. Therefore, they can both be advocates and advisors to those in need of specialists in certain fields where law applies. When lawyers advise, they should ensure that the client knows every right they have and obligations they are required to do as a citizen of the country so as to understand the courses of action even more. Basically, even if a lawyer is defending a client’s rights, the laws must still be upheld. In light of this, it is not indeed easy to be a lawyer, which means that it is not easy to deal things on your own. For your affairs in the UAE, there are Dubai lawyers who are available to take care of your situation and make sure that you are aware of what you need to know and do. There is a long list of situations that one would need a lawyer. One of the reasons, though, that people opt out in contacting a lawyer is that they are not financially prepared to have one. However, if that is the case, there are legal aid resources that can help in this kind of situation. There are low-costs attorneys and affordable ones as well. There is a long list of law firms in Dubai that can serve you according to your legal consultation needs. HHS Lawyers is one of them. 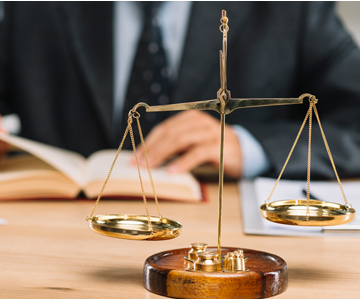 We have been one of the prime international law firms in Dubai and in the entire UAE for more than 10 years, offering litigation and legal services and advice as our team is knowledgeable of the UAE law and can represent you in all UAE courts.